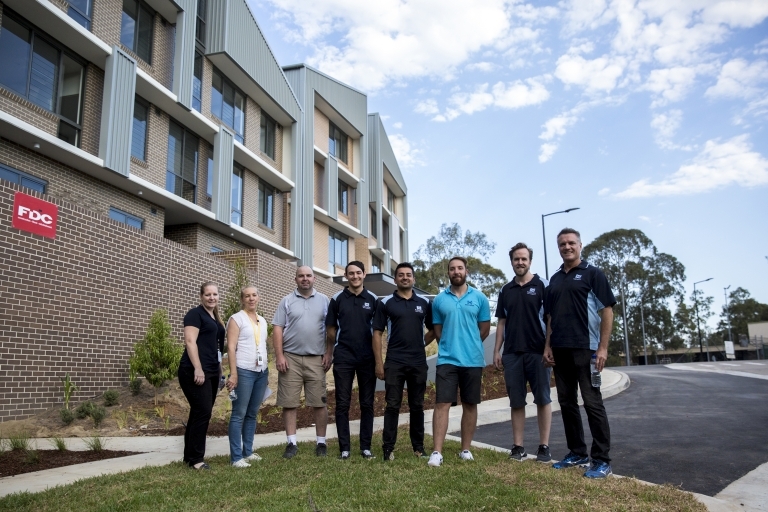 As the new Ronald McDonald House Westmead gets closer to opening its doors, Sealy Australia has provided the more than 168 beds needed to fill each of its 60 rooms. Sealy Australia’s combination of queen beds, king singles and trundles will sleep more than 1,360 families each year in the House’s studio, one-bedroom and two-bedroom family accommodations. The generous contribution isn’t the first for Sealy Australia, who have developed a close and lasting partnership with Ronald McDonald House Charities. “We really appreciate the need for comfort and support for families who stay at Ronald McDonald House Westmead, and we are here for the long term,” said Sealy of Australia Managing Director, Simon Dyer. “We started partnering with Ronald McDonald House in 2013, and at that time we made a commitment to become the sole bedding supplier to Ronald McDonald House Charities so that over time, as houses are built or refurbished, every bed in every bedroom in every house will be a Sealy Posturepedic bed. “We are proud to be part of all the great work happening at Westmead right now, and we look forward to working with Ronald McDonald House Charities to continue to make a real difference. " To move the more than 373 pieces from the delivery trucks to each room in the House, Sealy Australia’s account managers also stepped in, working on site from 8.30am to complete the delivery in just one day. Click through to find out more about Sealy Australia.